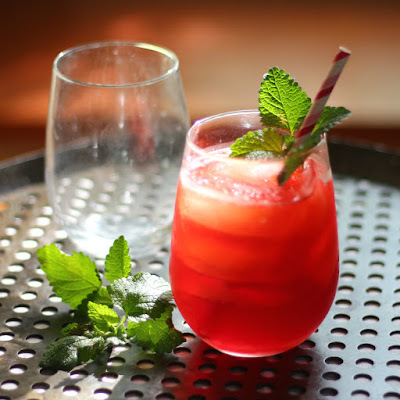 Classic Hurricane Recipe- Hello everybody, welcome back with ZetiraKitchen! Today I will share about How to Make Classic Hurricane. One of the popular drinks in New Orleans, the hurricane is an alcoholic drink with a sweet taste and added fruit juice, syrup, or grenadine. Name of the drink came from the shape of the glass it’s served in, the iconic curved glass resembles a hurricane lamp. This rum-based concoction that you can find in every bar, but now you can make it too in your sweet home. They have a simple method so you should try it. Just prepare the materials and let's make it! Put the ingredients into shaker then add some ice. Prepare a large Hurricane glass. Strain the mixture and pour into large hurricane glass. Then fill with ice cube. Garnish with your favorite fruits.